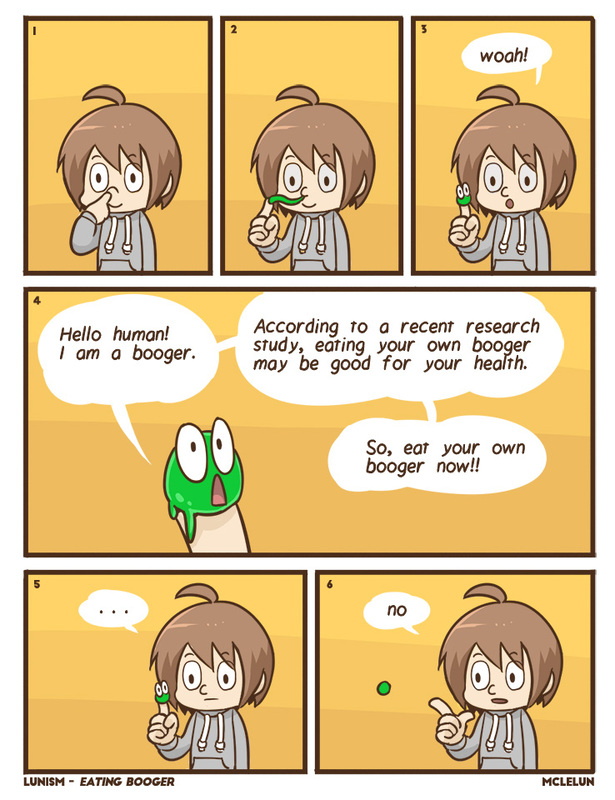 Read an article about the benefit of eating own booger. No, just no. Please don't eat your own booger.